A hospital pays anywhere from $170 to $300 dollars for a pint of blood. For hospitals, blood is a core commodity; running out is not an option. The problem, Godfrey says, is most hospitals rely on regional blood centers. Meaning blood – well, it isn’t flowing freely across the country. That’s why he started Bloodbuy. Bloodbuy, he says, is sort of like a Priceline for blood products -- connecting supply with demand in a multi-billion dollar industry. 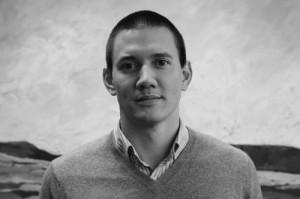 Godfrey developed the platform for Bloodbuy as part of a Critical Challenge Project while attending Brown University. 1. 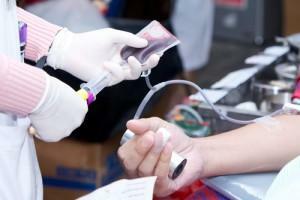 Blood products can expire fast. While red blood cells have a shelf life of 42 days, platelets last only 5 days before they need to be tossed. 2. Blood supply varies greatly by region: Blood donations in Des Moines, Iowa might be high, whereas in Houston, Texas there may be shortages. Like Priceline, Bloodbuy uses a series of matching algorithms to pair what a hospital is willing to pay with what’s available. And the suppliers, not the shoppers, pay a fee to list what’s available. So far, there are users in Texas, Louisiana, Tennessee, Florida and Massachusetts. John Peter Smith Health Network in Fort Worth doesn’t use Bloodbuy, but Mike Dossey, executive director of Lab and Radiology Services, sees how the service could save money and blood by making prices more transparent across the country. “Because it’s such a rare commodity and you’re asking people to donate their precious blood, you don’t want to waste any of it,” he says. “We spend just under four million dollars a year on blood products. Today, a hospital pays anywhere from $170 to $300 for a pint of blood. Still, JPS’s Dossey says there are risks to using a Priceline for blood supply. Hospitals can’t rely on a blood supply that’s not local. A good relationship with the blood bank in town is crucial — especially when there’s unexpected trauma. Any blood pipeline blockage could be disastrous. Bloodbuy’s Godfrey hopes easier access to prices and inventory for hospitals will help even out supply and demand of blood across the country.